Daredevil is among the vigilantes in the Marvel Universe who’s path to protect the innocent, stemmed from an early traumatic experience. Daredevil’s mental strength and determination comes from his faith within the Roman Catholic Church. Taking on the underworld as a blind crime fighter, means having a strong and fearless mentality. Mixing this with his enhanced abilities, Matt became the living meaning of the word daredevil. As a daytime lawyer, Daredevil can stay connected to the crime world at a great degree. 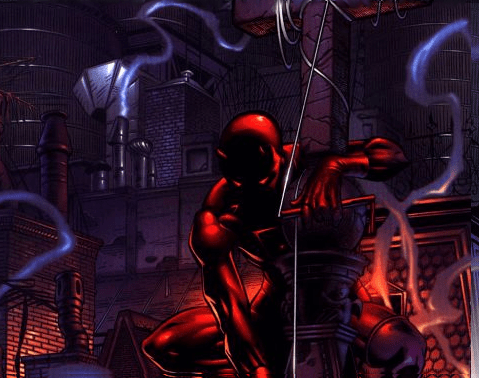 Daredevil chose the symbol of the Devil to help leave a fearful impression on injustice in Hell’s Kitchen. Is Matt Murdock in a constant state of moral confliction, when masking himself as a devil, and being a strong believer in the Catholic faith? Despite being blind, Daredevil’s training over his remaining four hyper senses allows him to have full body and sensory control. He can do acrobatic feats like Spiderman, with perfect balance and equilibrium. What makes Spiderman better is that his agility is heighten because of his superpowers. 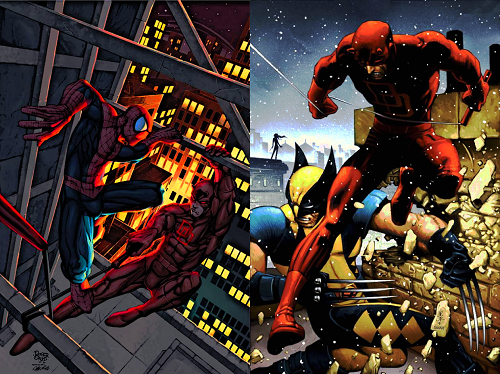 With enhanced sense of smell and hearing, Daredevil’s abilities is similar to Wolverine‘s when locating criminals. The difference is, Wolverine’s senses are more animalistic in nature due to his mutation, which makes him completely superior when tracking down targets, especially at great distances. 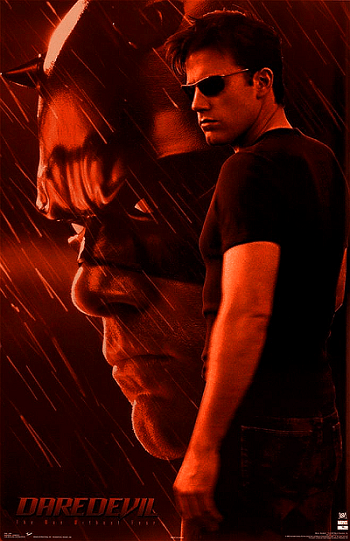 Daredevil has come to life with the 2003 live action movie. Also, Netflix has created an original series of the character’s beginning in crime fighting. As for the film, casting for characters have received negative views from comic fans. Many feel Ben Affleck is not a perfect choice for a superhero role. What do you think? Did his role as Batman prove comic fans wrong? 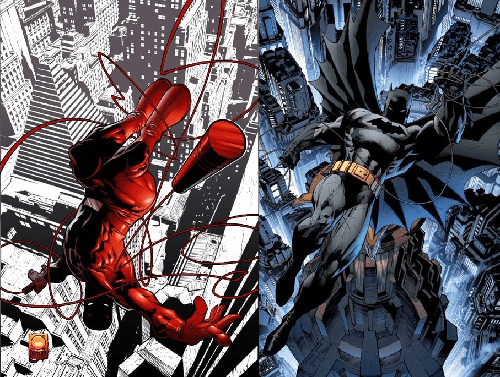 What comic fans find interesting about Daredevil is his similarities to Batman. Who do you think would win if they were to battle? To Be Continued…. 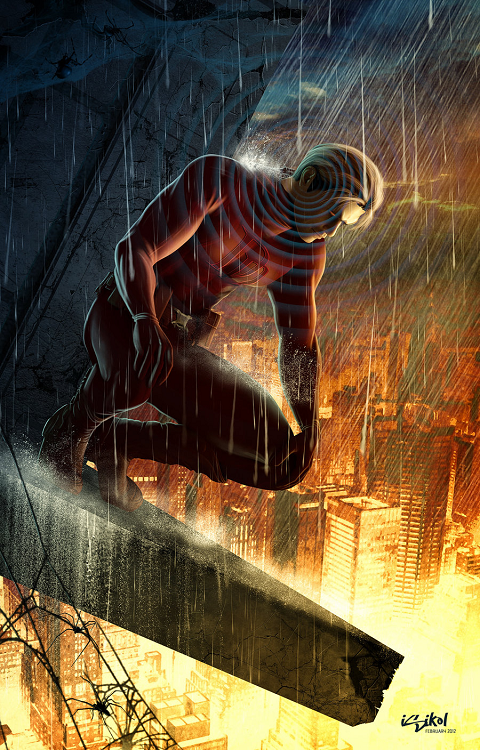 Comic Multiverse fan favorite artwork of Daredevil goes to Deviantart artist isikol. Excellent work!